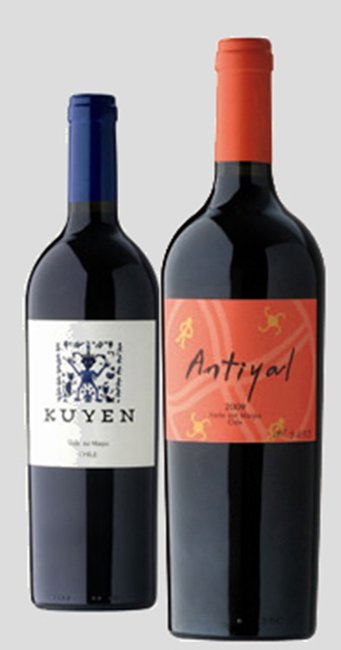 Also see Global Vineyard’s Chilean wines & Global Vineyard’s Uruguay Wines. Silvio Benvenuto and his family have built a state-of-the-art winery located in the Valle de Uco, at the foothills of the Andes at 3500 elevation. Angel Mendoza, formerly of Trapiche, is the winemaker. Mil Piedras and Benvenuto de la Serna wines are 100% estate grown. Quantity Discount: Wines assort for discount. 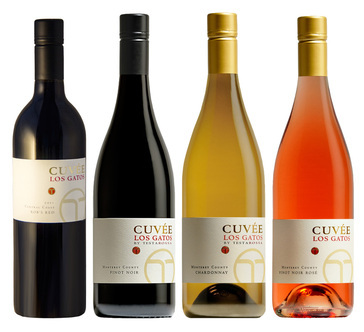 Matias wines are elegant and showcases signature low-yielding vineyards & sustainable micro-viticulture from California’s cool-coastal wine region, Santa Lucia Highland. Borne wines are exclusively from the Anderson Valley, one of California’s emerging and most noteworthy wine regions due to its steep hillside, cool climate and micro-tended vineyard sites. Limited production, single vineyard wines, selectively hand harvested from our organically farmed Oakville estate. Celia Welch, one of Napa’s top winemakers, is the founding winemaker of Yount Ridge Cellars. Her winemaking style reflects the vineyard’s fruit, character and complexities. Yount Ridge Cellar’s founders have been involved in grape growing and production for more than 35 years. Made in our state-of-the-art winery designed for small lot production, Bench wines are focused, balanced, and expressive. Critically acclaimed Winemaker Daniel Fitzgerald directly manages the farming at each of the low-yielding vineyard sites he selects for these Sonoma County appellation wines that offer exceptional quality for the price. Small, family owned winery, grape producer, and are fifth generation California farmers that own 120-acres of vineyards, stretching from Carneros in the south to Atlas Peak and manage over 700 acres for various wineries. Their meticulous attention to vine growth and optimum fruit production, allows this family to produce wines that express the individuality and depth of character in each varietal. Quantity Discounts: 2 cs assort for disc. Vine Cliff Winery is a small, family-owned winery located in the Oakville appellation of the Napa Valley. 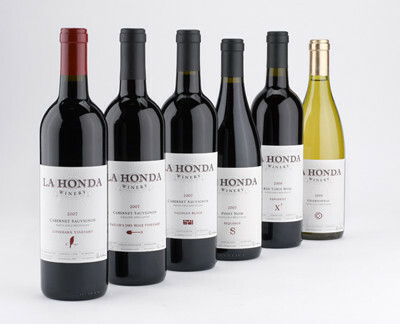 They proudly create premium Napa Valley wines that capture the essence and magic of the region. Quantity Discounts: 3 cs assort for disc. 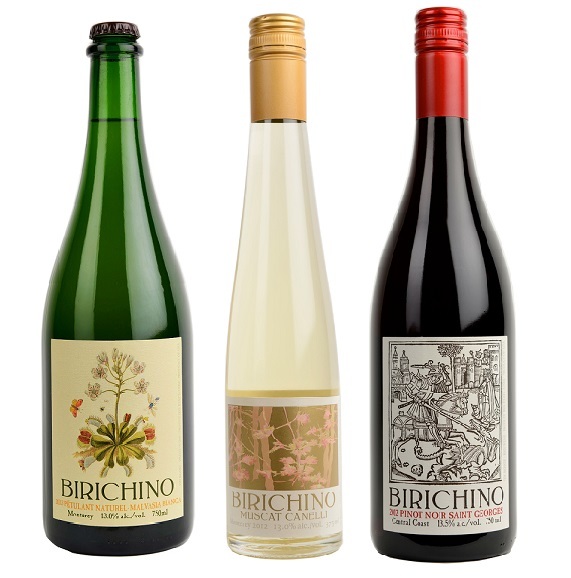 Made in our state-of-the-art winery designed for small lot production, Bench, Borne, Matias and Scholar and Mason wines are focused, balanced, and expressive. Critically acclaimed Winemaker Daniel Fitzgerald directly manages the farming at each of the low-yielding vineyard sites he selects for these Sonoma County appellation wines that offer exceptional quality for the price. 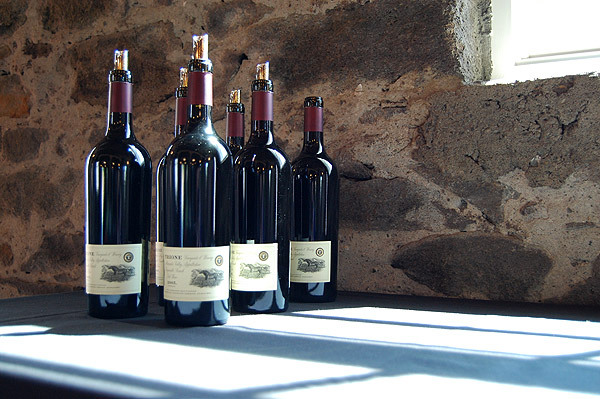 Since 1972, Boeger Winery has produced award-winning wines in the Sierra Nevada Foothills of northern California. 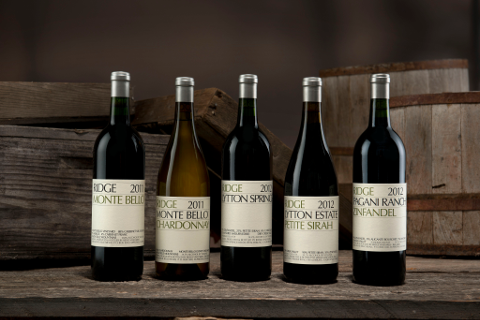 Family owned and operated, Boeger produces over 90% of their wines from estate grown grapes. Based in Santa Cruz, co-founders Alex Krause and John Locke draw on a combined four decades making wine in California, Alsace, Piemonte, Puglia and beyond. Sourcing from organically and sustainably farmed vineyards planted in the 19th and 20th Centuries and the Late Disco era, they favor native fermentation, neutral barrels and avoid fining & filtration where possible with the aim of producing wines that give pleasure, revitalize and revive. Estate grown, value oriented wines from Mendocino County. Produced by the Brutocao family, the Bliss Wines carry on the legacy of their grandfather Irv Bliss, who purchased and planted the original 450 acre ranch. Quantity Discount: 3 cases assort for discount with Brutocao Family Vineyards. Since 1943, the Brutocao family has been farming their land and growing premium grapes in southern Mendocino County. Blending their northern Italian heritage with their California roots, they have planted varietals such as Dolcetto and Sangiovese along with the more familiar varietals. The family chose the winged lion from St. Mark’s Cathedral in Venice to symbolize their strength and agility. 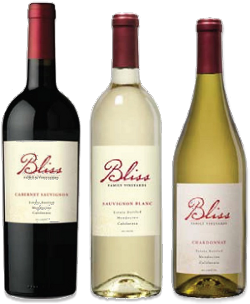 Quantity Discount: 3 cases assort for discount with Bliss Family Vineyards wines. Founded by Tom Mudd in 1983, this family-owned winery reveres winemaking as a form of modern-day alchemy—the blending of science with a touch of nature’s magic. Today, Cinnabar’s longtime winemaker George Troquato continues to make elegant and approachable wines from the Santa Cruz Mountains and Central Coast. Quantity Discount: 3 cs assort for disc. These wines represent an extraordinary value from Testarossa Winery and utilize their outstanding vineyard sources throughout Santa Lucia Highlands, Monterey County’s premier growing region. Carefully crafted by the Testarossa winemaking team, these wines offer the consumer ultra-premium wines at affordable prices. Russian River winery founded by Tom Dehlinger, UC Davis trained enologist, specializes in Pinot Noir and Chardonnay. Producing only 7,000 cases a year, this winery consistently garners high accolades from consumers and the press. Quantity Discount: No quantity discounts. Jonathan Dreyer’s goal is to select only the finest Sonoma County grapes to provide premium quality while keeping the wines reasonably priced. Quantity Discount: 3 cs = 10%. The Varners enjoy the challenge and creativity of making great wine for a terrific price. The non-inteventionist winemaking emphasis purity, natural balance and texture. 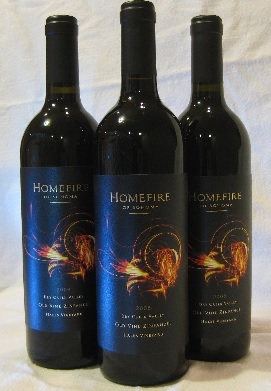 Homefire produces high quality, small lot Dry Creek Valley Zinfandels. These are handmade Zins with remarkable flavor, complexity and pricing. Quantity Discount: 3 cs discount. Anderson Valley’s first winery continues its leadership with its Pinot Noir and Gewurztraminer programs. Warm-weather varietals are grown along the banks of the Russian River. Family owned for three generations. Husch has practiced sustainable, no-till farming for three decades and is one of the first Fish Friendly certified vineyards. Owner David Page, farms 40 small vineyards located on the San Francisco Peninsula. Each parcel carefully selected to show off the best of a particular varietal. Rising star winemaker, Colin McNany, utilizes this beautiful fruit to hand-craft small batches of aromatic, elegant wine. 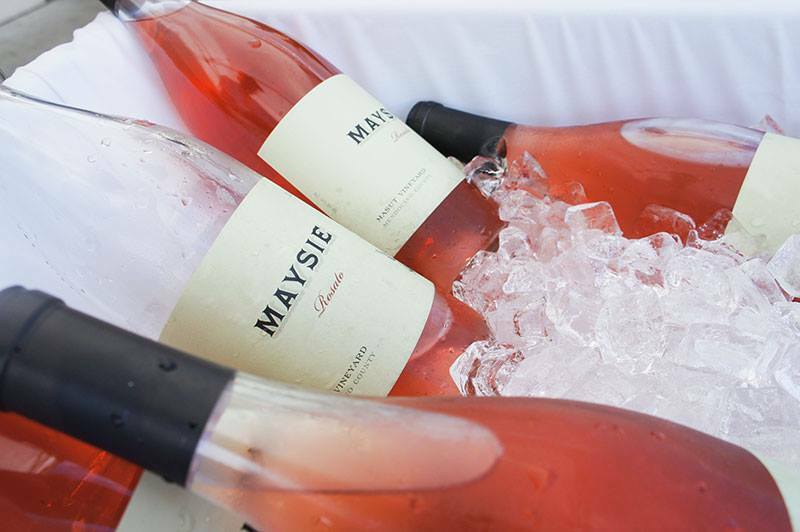 At Maysie Cellars, we believe in doing one thing and doing it well. We’re dedicated to bringing noble Italian varietals to glory in California through exceptional site location, sustainable farming and patient, non-interventionist cellar practices. Extremely small production and attention to detail makes Martella Wines elegant and delicious. Close relationships with vineyard owners, awareness of connections to the land and an emphasis on sustainable practices. Kegs available. Ask your sales rep for more information. Organically certified vines, orchards and market gardens. Estate-grown wines reflect healthy soils and eco-harmony. Certified biodynamic by Demeter in 2015. Since 1962, Ridge has championed single-vineyard winemaking, searching California for those rare sites where climate, soil, and varietal are ideally matched. The winery’s aim is to guide the natural process, using traditional methods to produce exceptional wines from distinctive fruit. Quantity Discount: No quantity discounts. Some Ridge wines are allocated; ask sales rep for details. Rock Wall is a modern urban winery whose heritage dates back to Rosenblum Cellars, founded in 1978 in Oakland. Winemaker Shauna Rosenblum’s wines incorporate a wide range of styles, from festive sparkling wines and aromatic whites, though exotic varietals and creative red blends, to rich, deep, intensely flavored single-vineyard Zinfandels and Petite Sirahs. The theme for all the wines is balance. Quantity Discount: 2 cs assort for discount. Kegs available. Ask your sales rep for more information! 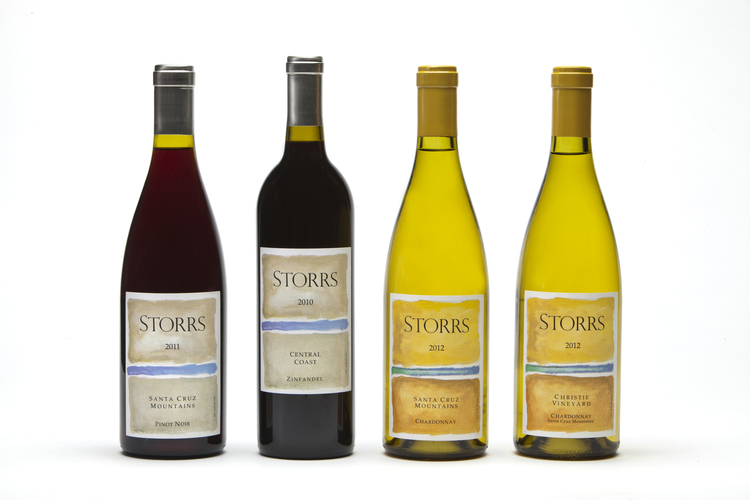 Storrs creates artistic wines from small, sustainably-farmed vineyards in the Santa Cruz Mountains and Central Coast. Resting on spectacular hillside acreage in the Santa Cruz Mountains, Soquel Vineyards’ boutique winery was established in 1987 by twin brothers Paul & Peter Bargetto and friend Jon Morgan. Soquel Vineyards specializes in Santa Cruz Mountains Appellation wines. Quality fruit from the South Central Coast’s finest vineyards are finished with meticulous winemaking by owner/winemaker and SLO County Winemaker of the Year, Stephen Ross Dooley. Well-priced, vineyard designated and appellation wines. Quantity Discount: 2 cs. assort for discount. 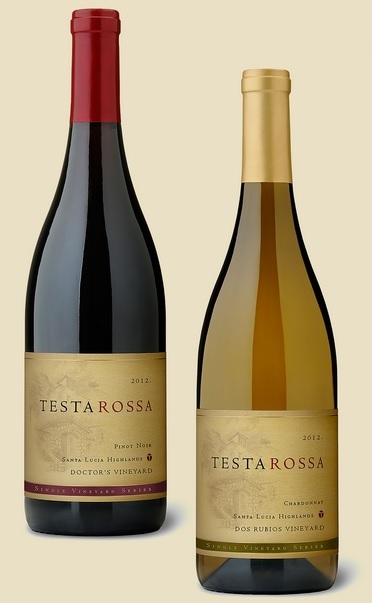 Testarossa Winery was founded in 1993 by the husband and wife team of Rob and Diana Jensen. “Testarossa” was Rob’s nickname as a red-headed student in Italy. 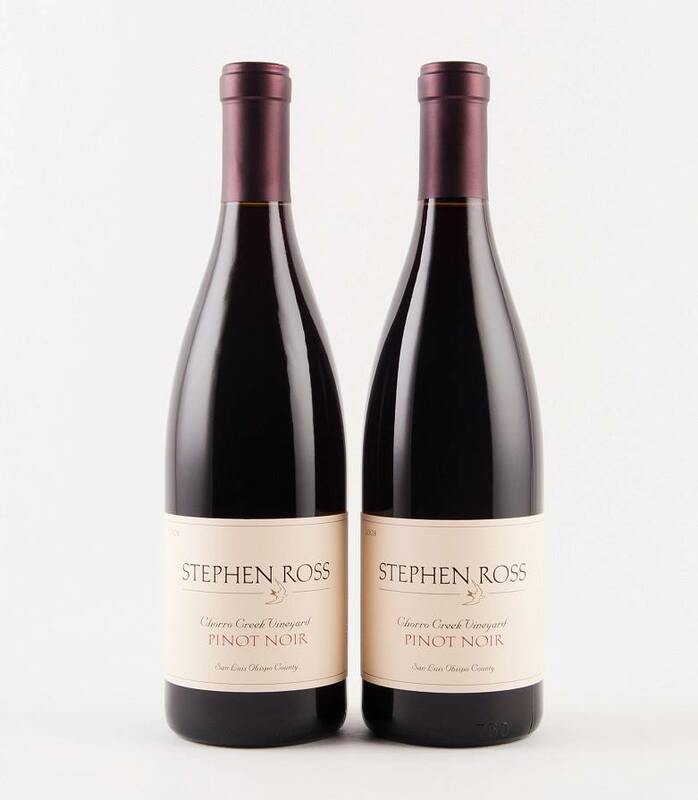 Producing 15,000 cases a year, the winery’s Chardonnays and Pinot Noirs consistently garner top scores. The wines come from superb properties located in Monterey County’s Santa Lucia Highlands and include such notable vineyards as Garys’, Pisoni, Rosella’s, Sierra Mar, Doctor’s, Fogstone, Dos Rubios and Lone Oak. The Trione Family has raised premium grapes for over 35 years in the Russian River and Alexander Valleys. They have owned and managed more than 700 acres in these highly respected appellations and now under the direction of well known winemaker, Scot Covington, are making wines under their own label. 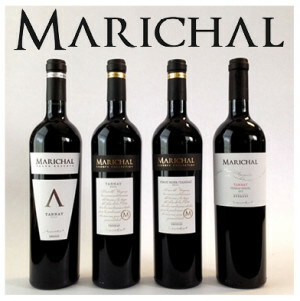 Global Vineyard’s mission is to import the very best appellation-based, family owned, artisan wines from South America. Quantity Discounts: 3 cs assort for discount. Can be mix and matched with Antiyal Kuyen, Calcu, Domus Aurera/Pargua/Penalolen, Maquis, Meli, Marichal, William Cole & Ricardo Santos wines. Communal Brands also imports wines from Northwest, Italy, New Zealand, and Spain . Founded by two Kiwi ex-pats, Simon Buck and Magnus Riddiford, Wine Dogs imports wines from the finest wine growing regions in New Zealand, France and Spain. Communal Brands also imports wines from Northwest , France ,Italy and Spain. Ana is part of the Eradus Estate family of wines grown entirely in the Awatere Valley, a sub region of Marlborough with its own unique microclimate. The wine making team’s goal is to produce a “Classic Marlborough” Sauvignon Blanc. Quartz Reef specializes in the creation of exceptional Sparkling Wine and Pinot Noir. Utilizing biodynamic wine growing practices, winemaker Rudi Bauer has a mission to make wines that capture the essence of Central Otago. Located where the Chehalem Mountains converge with Ribbon Ridge, Colene Clemens Vineyards is a family owned vineyard and winery dedicated to the production of estate grown Pinot Noir. Winemaker, Stephen Goff, was recruited from Beaux Frères in 2008 to head up winemaking and vineyard operations. His deft touch with clonal blending and judicious use of French oak produces delicious, balanced wines year after year. Communal Brands also imports wines from Washington, France , Italy , New Zealand and Spain .